A being from somewhere else. 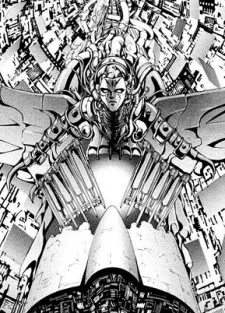 He has no real physical form, but resides in Etamenanki in the form of a giant computer-robot. The entire universe was created just to test an equation that he had fashioned, and he cares nothing for the suffering and injustice endured by humans and angels alike. He created Adam Kadmon in order for Adam Kadmon to "step-in" whenever he (God) was "sleeping". In the end he is defeated by Setsuna with the help of Lucifer.